Welcome to the Cub Scouts of Pack 21's Official Website. Feel free to come and browse some of the activites we've been partcipating in. If you are interested in signing up a scout, feel free to drop by our Monthly meetings. They are usually held the third Thursday of each month at the Memorial Middle School. For further information, please contact tom.hurley@juno.com. Thanks to the Webelos II's scouts that raked the yard today. Mr. Maher is feeling very happy and spoiled right now! It was great fun and the campfires and hot dogs were fun too. Special thanks to Lori Condon for arranging this great fundraiser. The Webelos II's get to "Do a good Turn" and the money raised helps cover all sorts of costs that keep the scouts running like paying for the pins and badges that the boys receive and supplementing projects that the scouts do. This is our annual Halloween Themed Pack Meeting. All Scouts are invited to attend in a costume, if they choose. On September 26th, the Cub Scouts will be held their first Pack meeting of the 2012-2013 season at the Memorial Middle School. Thank you for all new members to Hull Cub Scouts. You'll have a great year. Webelos II: 6:30 P.M. on Friday 10/12/2012 and 10/26/2012. Stacey Jones, commissioner with Old Colony Council, spoke about the Boy Scouts fund raising activities for the 2013 National Jamboree. There will also be sign-ups for newer scouts. Feel free to have your scout bring a friend. On September 29th, the Friends of Hull Scouting will be holding their annual Clambake Dinner at the Hull Yacht Club. Tickets are $45.00 each. On March 29th, the Webelos II's will be crossing over to Boy Scout Troop 20 at the Monthly Pack Meeting. This is a very important event for the boys. Note: The boys will be earning the "Arrow of Light." This is the highest award a Cub Scout can earn. The Monthly Pack meetings have been moved to every third Thursday of each month. This has been the traditional time for Pack 21, but was changed temporarily in fall 2011. Belt Loops are the Cub Scout version of Boy Scout Merit Badges. Here is the link for Loopapalooza at Camp Sayre in Milton. It is being run by the Boston Minuteman Council. It is a fun event for those who are looking learn a new skill and have some fun with other Cub Scouts. 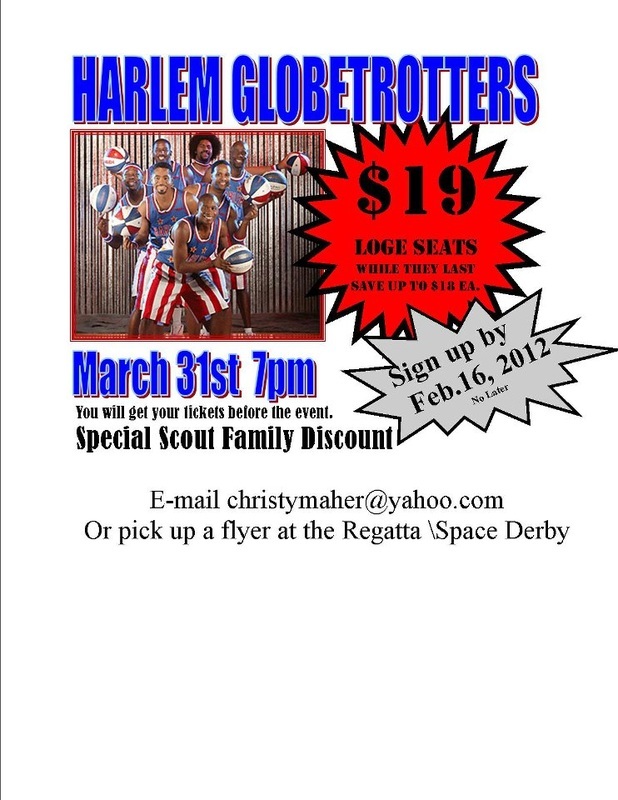 The Deadline to purchase tickets to the Globe Trotters (at the Garden on 3/31) has been extended to Feb. 27. However we are working on a special bonus for scouts who register and pay earliest! Please provide your completed forms to Christy Maher. 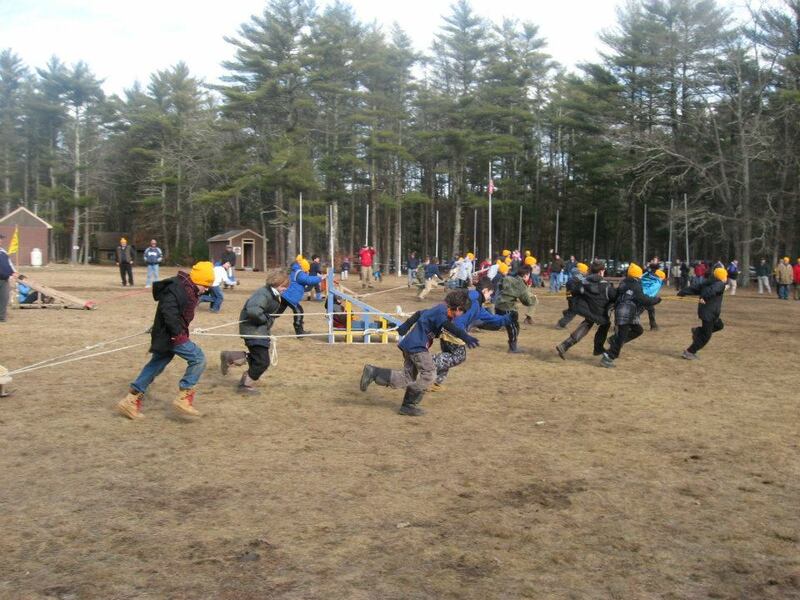 On Saturday, February 4th, the Webelos Represented Pack 21 in the Kondike Derby at Camp Norse in Kingston. The scouts did a great job working together on the events. 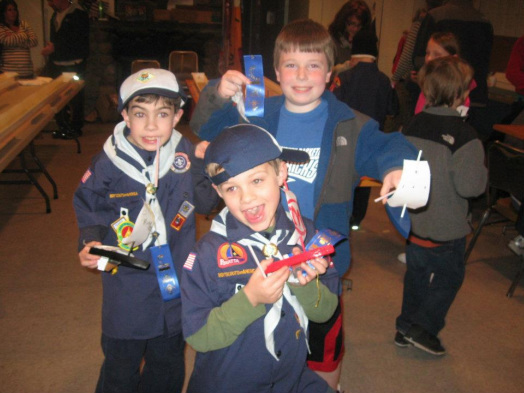 The annual Raingutter Regatta (Grade 1-3) and Space Derby (grade 4-5) was held on Saturday January 28th at the Scout House. Thank you to everyone who helped make the event a success. Last year four of the Bear Scouts collected bottles and cans, cashed them in, and gave the money to the Hull Land Conservation Trust to help preserve the Weir River Estuary and provide a way for future generations of people to enjoy Hull’s natural beauty. We collected over 1000 cans and donated $55. If 4 kids can raise $55, imagine what a whole den could do, or a whole pack! Let’s see which den can collect the most cans during the holiday party season. The winning den will get pizza delivered to their den meeting in January. 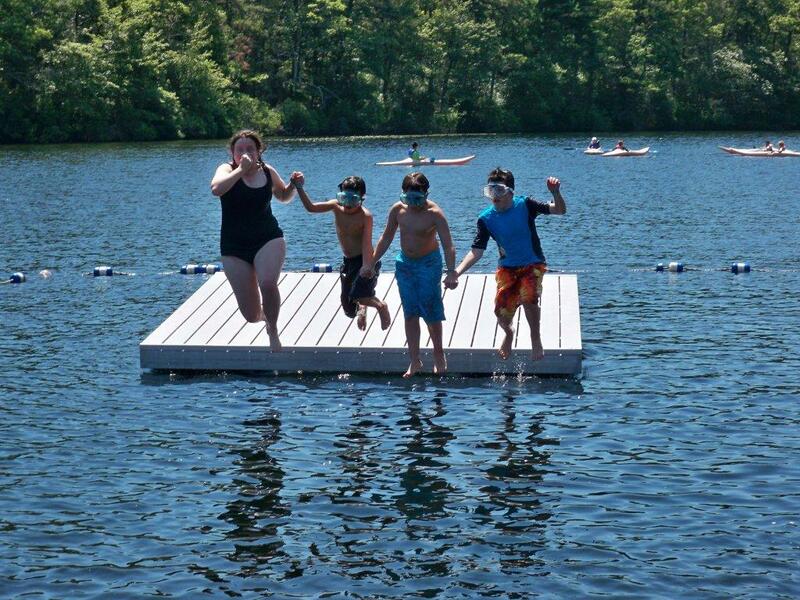 · The HLCT gives us tours and helps us earn badges and doesn’t charge the Cub Scouts any money. It is a good way to say thanks and that we support their efforts. · Recycling saves the environment. · It counts as a conservation project towards the Leave No Trace Badge. 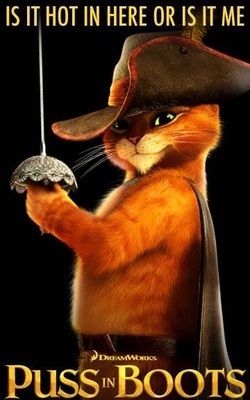 · It is a good lesson on how saving 5 cents at a time can add up to big bucks. · It encourages teamwork within the dens. · Your time and effort will help to create something that will be here for our kids and future scouts. · Kids will be more anxious to help clean up. Cash in cans and bring your money to your den meetings and pack meetings. We will do an updates of which den is ahead at the November and December Pack Meetings. Deadline will be the January 19th Pack Meeting. The Tiger Scouts went to Sunrise Assisted Living in Cohasset on Monday, December 19th. They practiced manners and asked the questions that we came up with at their prior meeting in order to learn more about what life was like when the residents were young. They sung for the residents (impromptu). Thanks to Mr. Taylor, they have a few songs that they have been practicing for the concert. 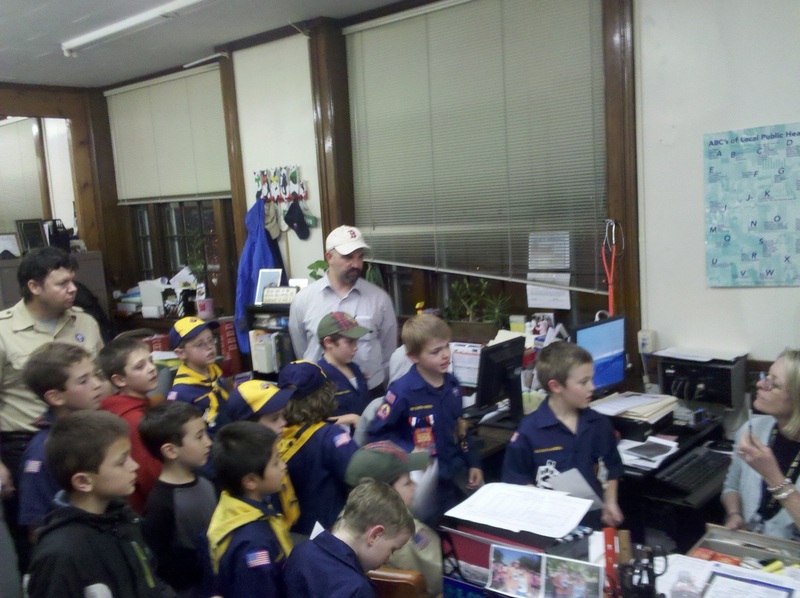 On December 6th, the Webelos I's and Wolfs took a tour of Town Hall. In November, the Tiger Scouts got a tour of Hull Fire Station #2 on Nantasket Ave at 'A' Street. They got an up close look at the equipment, and even saw the operation of a fire hose. Veteran's Day is November 11th. We will be meeting at the Scout House at 10:30 A.M. The Cub Scouts will walk from the Scout House to Monument Square, where a town-wide ceremony will be held at 11:00 A.M. Opening Night of Puss in Boots - Scouts wear your uniforms. $5 each for everyone in your family/group includes discount ticket for snack bar. Any Hull Scouts are welcome. The scouts had a fun time with the Halloween themed events. The costumes were great. Congratulations to all the winners of the costume contests. Congratulations to everyone who has earned badges and achievements. Great Job! 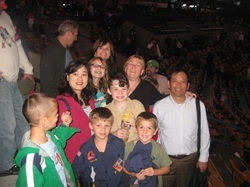 The pack went on a fun flled outing to the Ringling Brothers, Barnum & Bailey Circus on October 14th at the TD Garden. Feel free to follow additional activities of the Hull Mass Cub Scouts, Pack 21 on our Facebook page. The Cub Scouts of Pack 21 would like to thank the Friends of Hull Scouting and their volunteers for their exceptional clambake. The FOHS is a separate organization in Hull that maintains the Scout House and provides additional services for use by the various Scouting organizations, including the Cub Scouts. 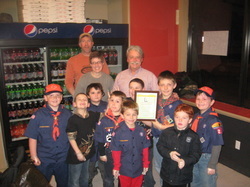 The Cub Scouts of Pack 21 cross over to the Boy Scouts Troop 20, Feel free to visit their website for futher information.